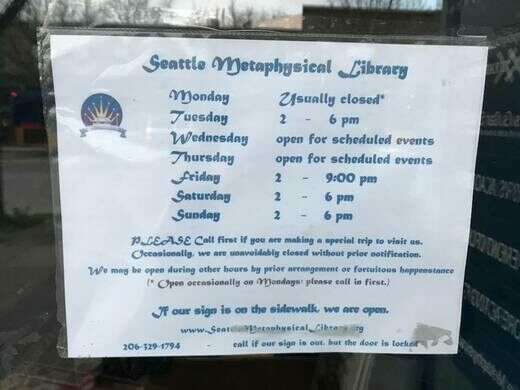 While their landlord will not allow them to erect a sign, the Seattle Metaphysical Library would like you to know that they are open for browsing. 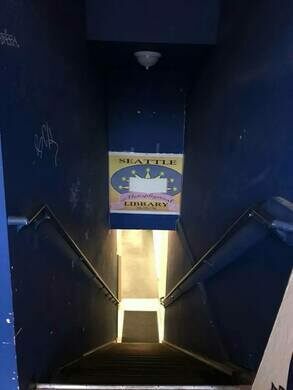 Legally registered as the As-You-Like-It Library, this lending library has been serving Seattle’s more esoteric reading needs since 1961. During its decades of operation, the collection has amassed over 13,000 books on topics such as parapsychology, shamanism, magick (sic) and UFOs just to name a few of their astounding sections. They also offer CDs, DVDs and newspaper clippings on subjects most libraries simply do not cater to. It is free to visit and browse the stacks; members can even check out many of the rare titles. If you are not in Seattle the full list of wondrous titles can be viewed via their website. 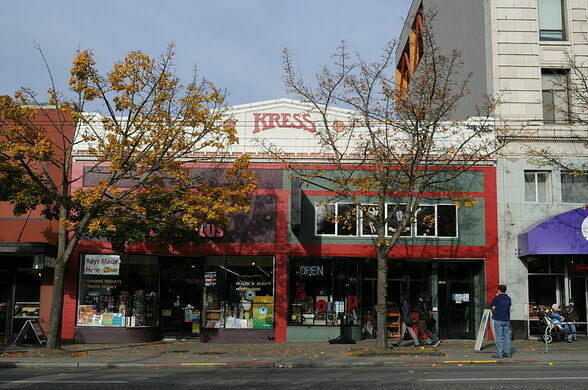 The library itself is located in the basement of the historic Kress Building via an unmarked glass door next to a Pie shop. Although the landlord will not allow a sign to be hung outside, visitors can locate the entrance and determine whether the library is open by looking for the sandwich board placed on the sidewalk. The door is sometimes locked by the building’s other tenants in which case it is suggested to simply call the library’s friendly staff to be let in. If you can manage to get inside you are in for a truly enlightening experience.